Il Forward Team al completo è entusiasta di arrivare alla seconda gara di casa di questa stagione, che aprirà i suoi cancelli tricolore agli appassionati tifosi questo venerdì alle ore 10.55 con la prima sessione di prove libere. Come di consuetudine, il team, per questo speciale e sentito fine settimana, ha inoltre in serbo alcuni eventi speciali che si terranno nel corso del week end in riviera romagnola. 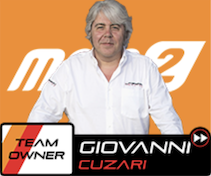 The Misano World Circuit Marco Simoncelli welcomes the Moto2 World Championship this weekend for the thirteenth round of the 2017 season, which is the much anticipated second home race for the Forward Racing Team with its riders Luca Marini and Lorenzo Baldassarri. Thereby the special venue hosts profound successful memories for the Swiss based team, plus the number 7 rider, Baldassarri. 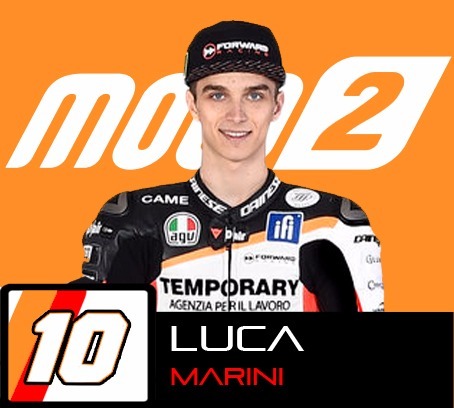 Following his recent experiences fighting with the top guys of the highly competitive intermediate class, Marini is eager to further develop this maturity during this weekends’ San Marino Grand Prix. The 4.226-kilometer-long track is close to his home town, Tavullia, which means that the 20-year old can count on an amazing support from family and friends, but he is also well aware of the difficulties the Italian tarmac hides. Still lying comfortably inside the top 10 of the overall standings, Marini wants to score another great result during the upcoming days. Meanwhile, Baldassarri is more than motivated to return to the place, where he celebrated his first ever Moto2 win so far, just one year ago. The Italian, who is nearly back to full fitness after his heavy highside in Assen earlier this year, was working well during the last GP to figure out a competitive base with his 2017 Kalex machine. 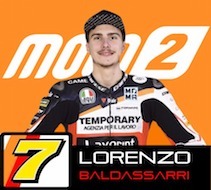 Although luck was not on his side in Silverstone, Baldassarri is ready to make his way back towards the upper end of the time sheets and deliver a great 26 laps race on his home soil. The entire Forward Racing Team enthusiastically anticipates the second home race of this seasons, which commences this Friday at 10:55 local time with the first free practice and includes some special events in the course of the weekend.